This page presents the Erle-Brain Linux autopilot — an ArduPilot autopilot and companion computer in a single package. 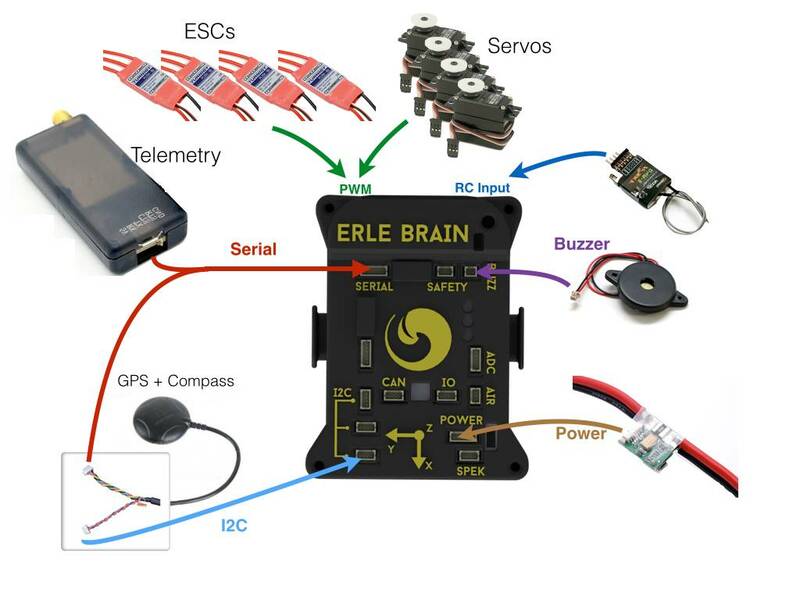 Erle-Brain 2: The new generation of artificial robotic brains for drones and robots that use DroneCode Foundation Tools, ROS and many other tools. 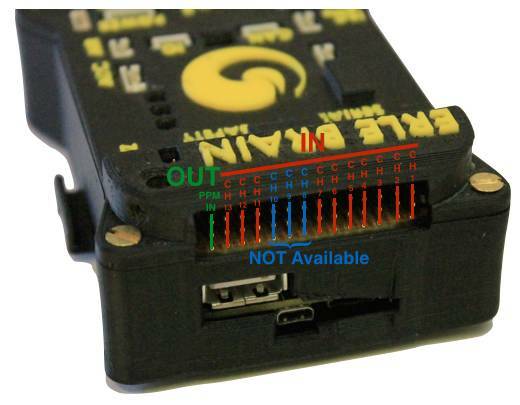 PXFmini: An open autopilot shield for the Raspberry Pi, placed here. Erle-Brain 1 (*Discontinued)*: The first Open-Source Linux Autopilot that runs ArduPilot and ROS natively. 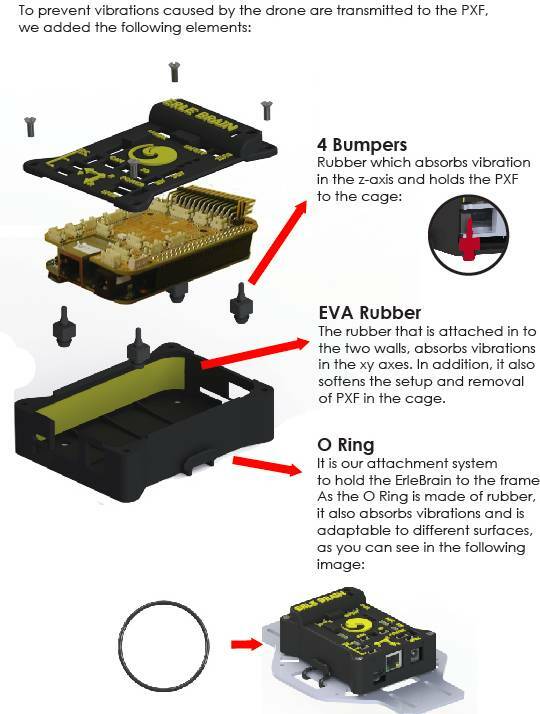 Erle-Brain based drones can be assembled as discussed in the official documentation. Erle-Brain based drones can also be purchased from the Erle Robotics official store in both ready to use and DIY kit form. 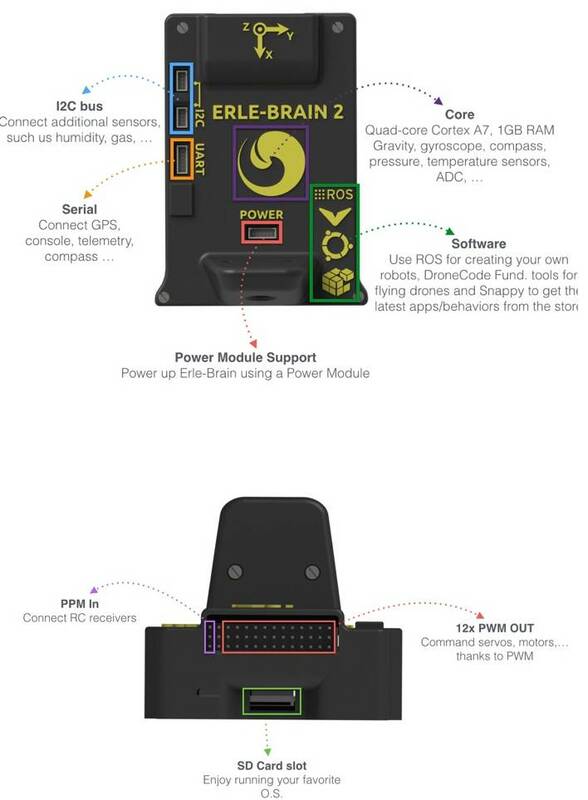 Erle-Brain 2 is the second generation of Linux-based artificial robotic brain for making robots and drones with official support for the Robot Operating System (ROS) and access to the app store. It combines an embedded Linux computer (Raspberry Pi 2) and a daughter board containing several sensors, IO and power electronics. It is a Linux embedded device that runs ArduPilot as well many other frameworks and services for robotic application development. MAVProxy can automatically bridge MAVLink packets to your WiFi network. 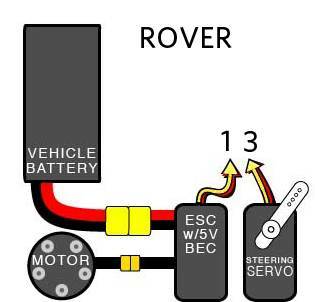 Sensors: Gravity sensor, gyroscope, digital compass, Pressure sensor and tempertature sensor, ADC for battery sensing. Optional Camera: MP Fixed focus lens, 2592 x 1944 pixel static images, supports 1080p30, 720p60 and 640x480p60/90 video record. 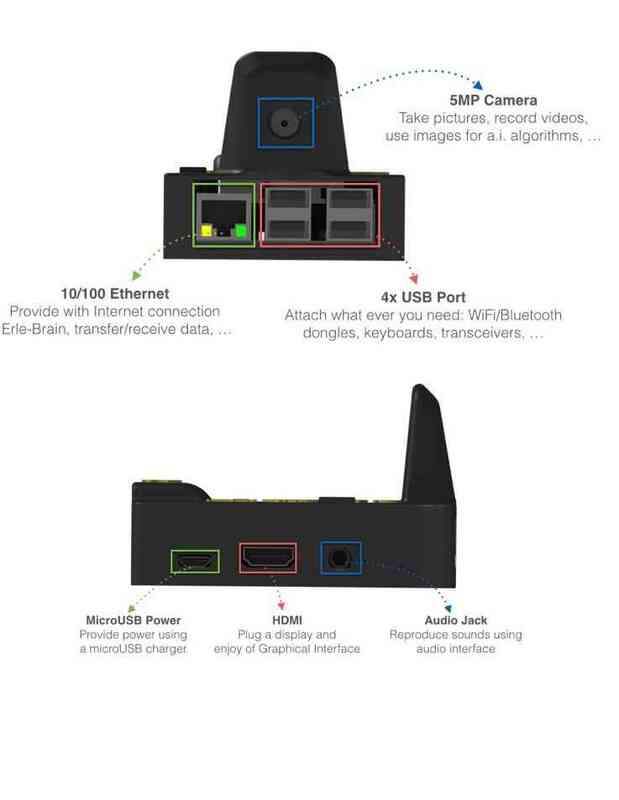 The following images show the main ports/features available to Erle-Brain version 2. 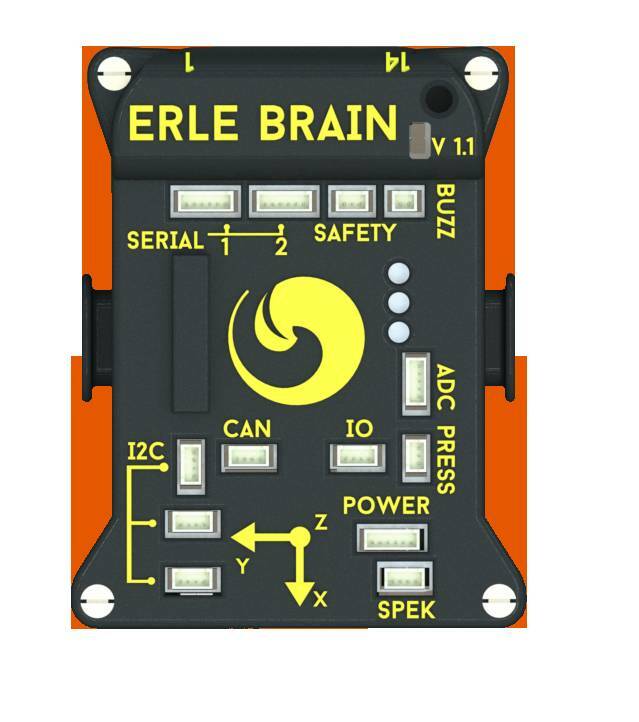 Erle-Brain can be purchased from the Erle Robotics store. Erle-Brain combines an embedded Linux computer (the BeagleBone Black) and the PixHawk Fire cape — a daughter board containing several sensors, IO and power electronics. 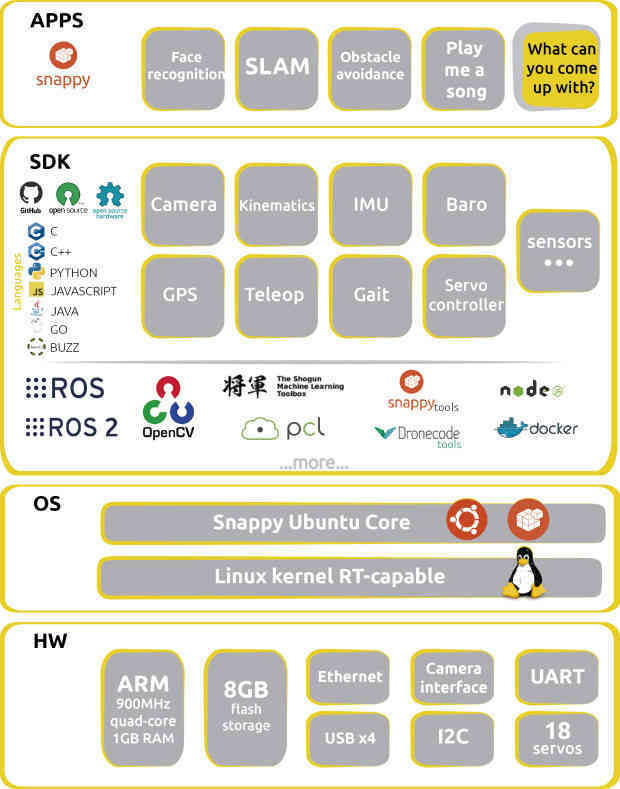 It is an open hardware Linux embedded device that runs ArduPilot as well many other frameworks and services for robotic application development. Erle-Brain comes with full support for Snappy Ubuntu Core. Just fetch one of the available images (for the microSD card) and start developing snaps. Snappy Ubuntu Core is a new rendition of Ubuntu with transactional updates - a minimal server image with the same libraries as today’s Ubuntu, but applications are provided through a simpler mechanism. The snappy approach is faster, more reliable, and lets us provide stronger security guarantees for apps and users — that’s why we call them “snappy” applications. Additional information about Snappy Ubuntu Core can be found here. 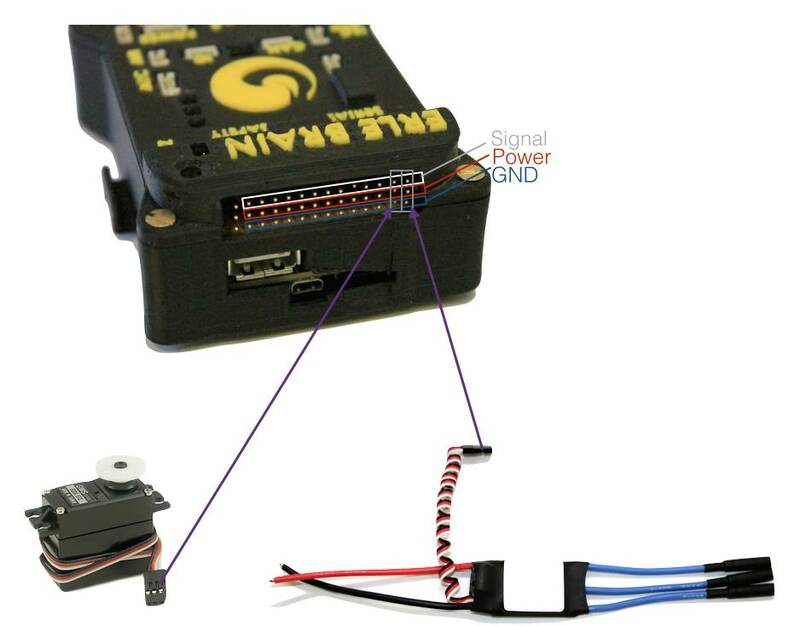 3DR’s Python DroneKit runs perfectly in Erle-Brain. Full documentation for the Kit and API can be found at the python.dronekit.io. More information about Erle-Brain is available in its official documentation or from Erle Robotics forum.